Sun sticks have been around for some time. but last summer its popularity has boosted dramatically with most K-beauty brands coming out with their own versions of sun stick. 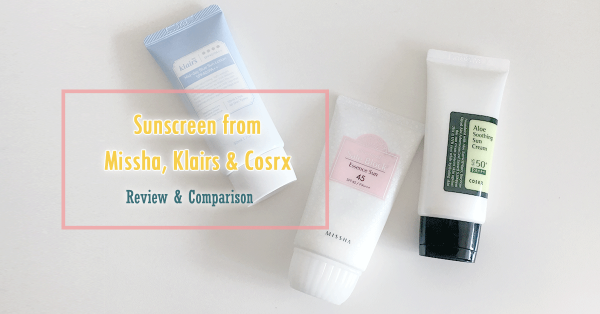 I’ve recently tested out Banila Co’s Hello Sunny Essence Sun Stick and had to agree with the hype. 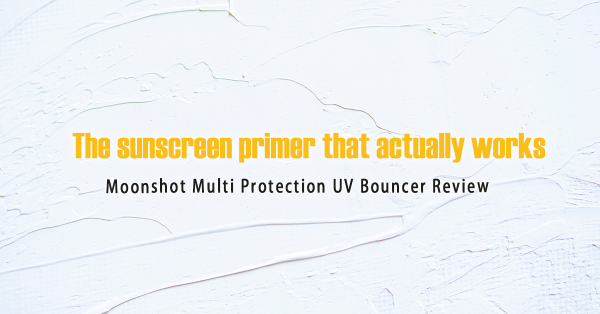 It’s so convenient to use that you’ll never have an excuse for not wearing a sunscreen. Banila Co Banila Co Hello Sunny Essence Sun Stick comes in bright coloured boxed packaging. The sun stick is housed in a hard plastic twist-up mechanism with a bright coloured hard plastic cover. I particularly like the twist-up design which is quick and easy to use. You don’t have to worry about the product being accidentally twisted up or twisting up too much product that you couldn’t bring it back down. I’ve seen others with a dial that scroll up the product, which I think is not as good. 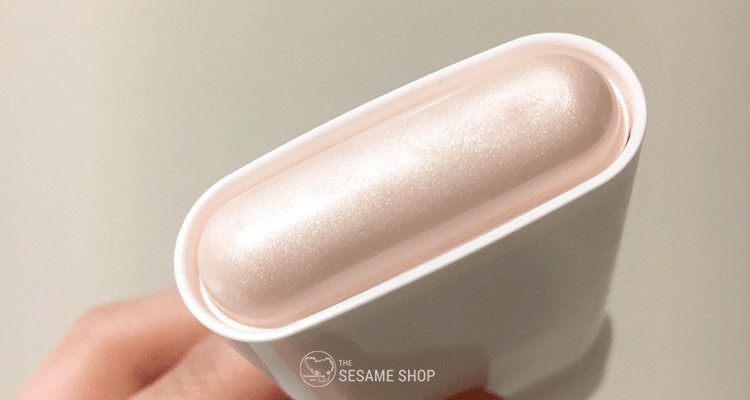 The Glow version contains chemical filters only whereas the Fresh version contains a small amount of Titanium Dioxide. Both versions cover both spectra of UVA and UVB and offer protection of SPF 50+ with PA 4 pluses. The chemical filters used are rated stable and safe. Fresh version contains ethylhexyl methoxycinnamate or octinoxate which is more controversial if you want to avoid it. Both versions of Banila Co Hello Sunny Essence Sun Stick are clear when applied on the skin. 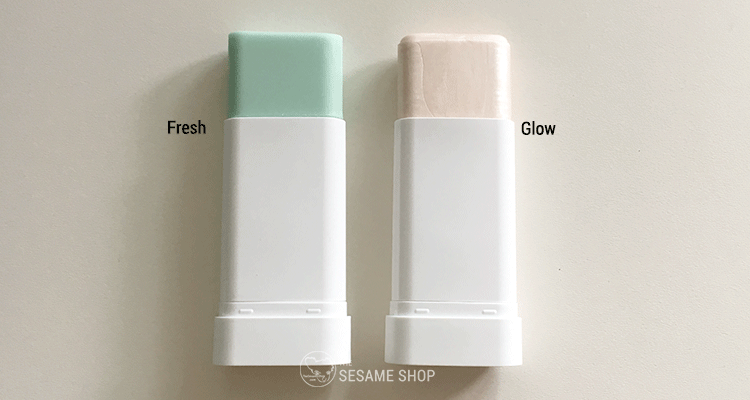 The Glow version appears as a pearlescent skin colour in the tube whereas the Fresh version is a matte baby green in the tube. Both versions have a natural oil scent. Fresh version also has a slight minty scent. The scents are undetectable once applied on the skin. Both sun sticks are like a solid balm. They smooth over the skin and leave a slight oil film. 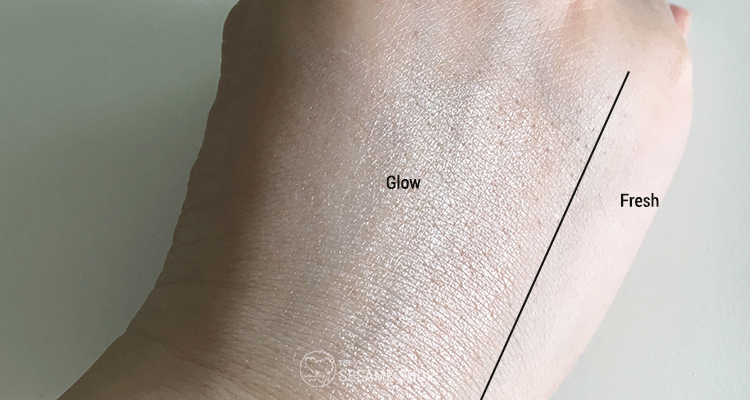 The Glow version leaves more of a shine whereas the Fresh version is more matte and smooth. The presence of the oil film is very light, the skin doesn’t feel like anything has been applied. Application of the sun sticks is super easy. Just twist up the product and swipe it all across the face and neck. In the beginning, I tend to over-apply 2~3 times because it doesn’t feel like I’ve applied anything. I particularly like it for applying sunscreen down the neck, because I hated applying traditional sunscreen on the neck which always takes ages to absorb. But using the sun stick, there is no blending needed and it doesn’t stain my clothes. The Glow version also adds a nice sheen to my collar bone. 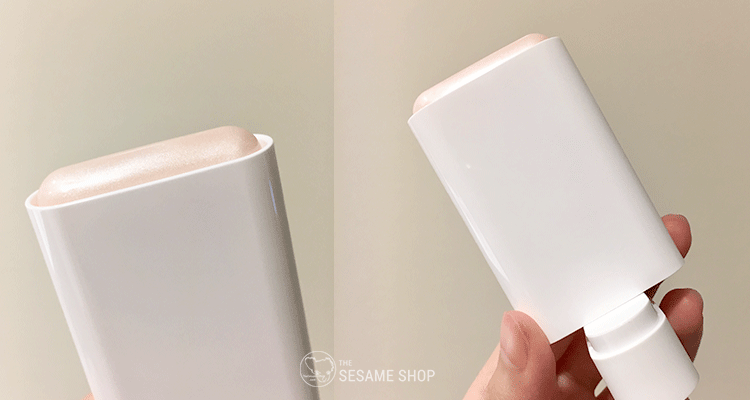 During the day, when I start to produce sweat and oil on the skin, the Glow version can feel a bit greasy on the skin. It’s also extremely convenient to take around and re-apply. Banila Co Hello Sunny Essence Sun Stick retails for 22,000 Won (~$28 AUD) for 19g of product. 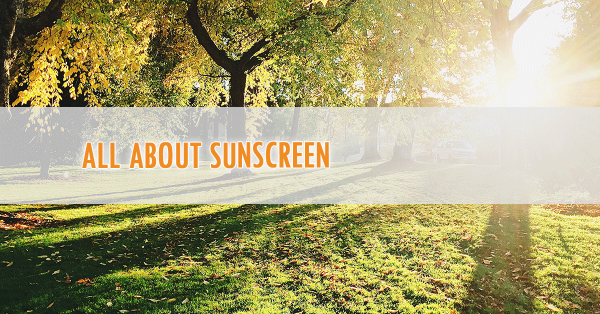 Although it contains less product than a usual sunscreen, you don’t need to apply as much. I feel the stick can last 3~4 months with daily application. If you’re guilty of not applying sunscreen due to its weird texture or tone, the sun stick is your solution. I particularly like its convenience for applying on the neck area. Where to buy Banila Co Hello Sunny Essence Sun Stick? This entry was posted in Skincare and tagged sunscreen.